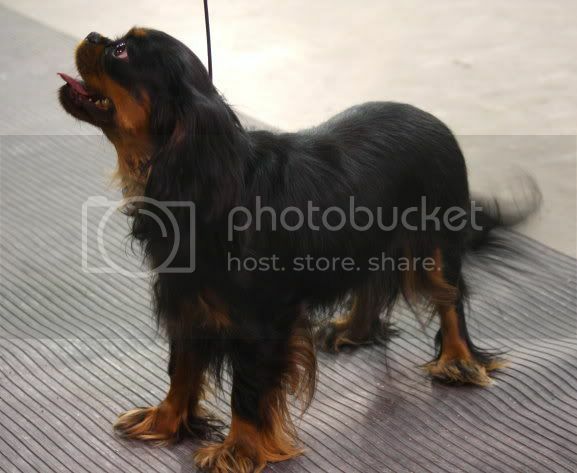 A few weekends ago Molly and I attended the Ontario Breeder’s Association show held in Markham, Ontario. There were no wins that weekend, but we had a ton of fun and Molly showed beautifully for me. The best part of the show was not the show itself but seeing friends and doing some doggy shopping. One of my good friends in attendance was Gwenne August. 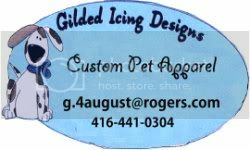 Gwenne owns Gilded Icing Designs, and makes the most amazing and unique pet apparel for dogs. Her coats are pure works of art and so incredibly cute. 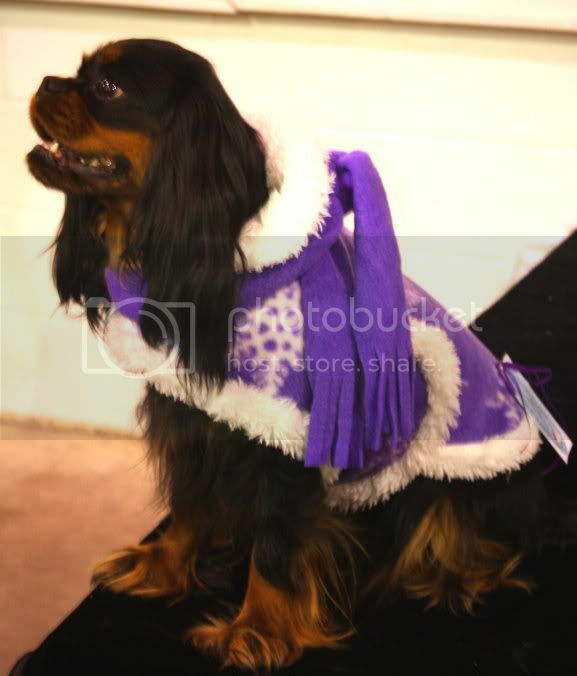 In Markham, Princess Molly modeled some coats on behalf of Gilded Icing Designs. Gwenne also happens to be a fantastic photographer. I opened my email the other day to find beautiful photos of my sassy princess, they truly made my day. The lighting in the arena was crappy and I couldn’t take a picture in there even if I wanted to. I love the above pictures so much that I hope to ask Gwenne’s permission to use them for my CKCSCC yearbook ad. Gwenne took a bunch of pictures of Molly being a model in Gilded Icing Design wear. What a posh girl. The attention to detail on Gwenne’s coats is what makes them. Teddy bear buttons, scarves, and the softest feeling fabric on the inside. My favourite colour is purple and Molly happens to look stunning in it! Her design is easy to put on and covers a lot of the belly. They are both very warm and unique! My poor drained wallet is itching to buy coats for Zo and Mylee. Yikes! Thank you Gwenne for the beautiful pictures. You are a wonderful friend and your coats are amazing. 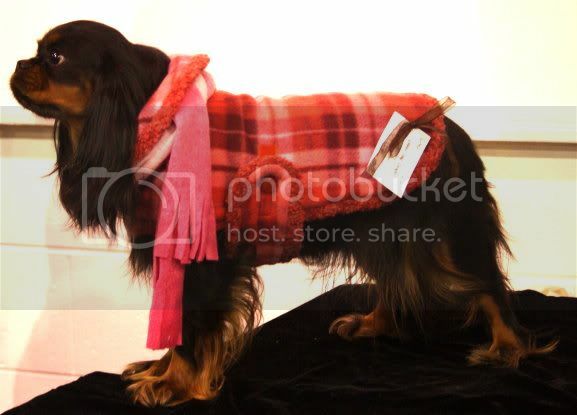 I know what my next major “doggy” purchase will be. I have coats you know 🙂 Just can't get my paws through them like I used to 🙂 Good to see other ladies keeping up standards 🙂 x x x lots of luv…. 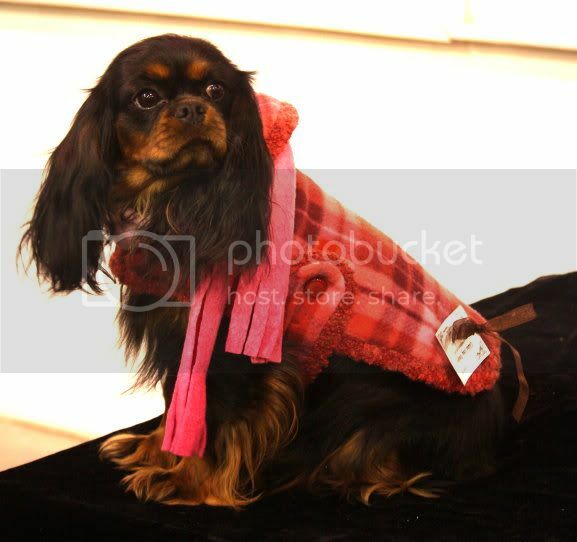 AMIE SOTO BLOSSOM… posh pooch ! The quality of these coats are amazing! Also I love how each one is unique and custom crafted. I am eyeing 2 by next snowfall for my guys. Besides style what I love is how fast they are to get on/off. 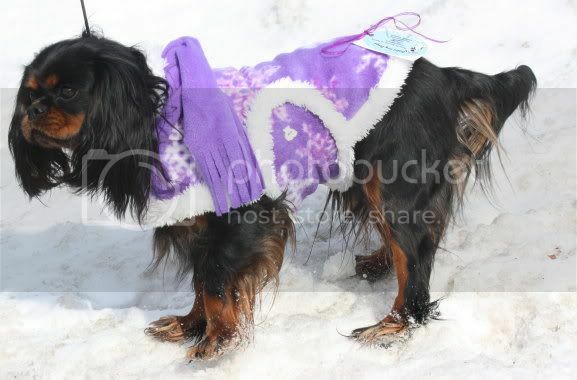 So over buttons on Puppia style coats! And just look at her fluffy show feet! 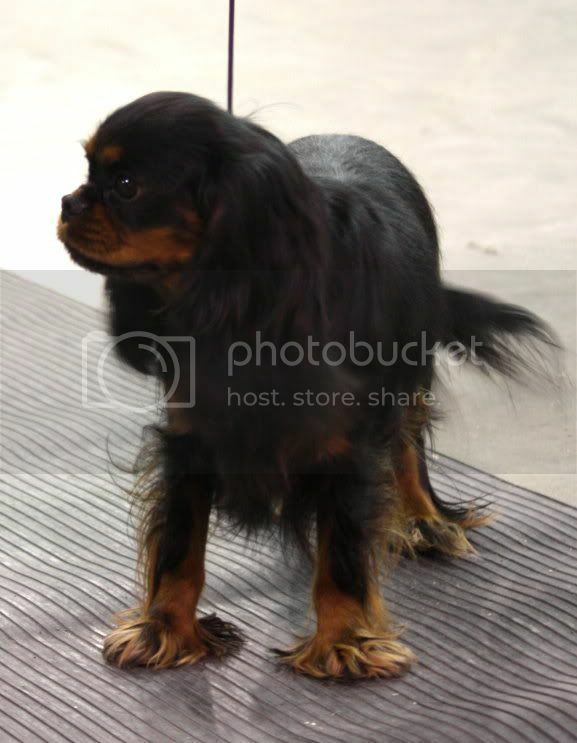 I love a cav w/ natural feet, but it's just not practical for everyday indoor living, I would spend my whole life sweeping and vacuuming the hard wood. ;) She's a gorgeous girl!